By Jem Arnold, a registered Physiotherapist, cycling coach, and Cat 2 bike racer. Images by Jeannine Avelino of VanCXPhotos. Canadian cyclocross champion Michael van den Ham demonstrating a good cornering technique. It’s that time of year. The road race season is coming to a close, and the #crossiscoming hashtag has become the go-to theme on Instagram for many a bike racer. 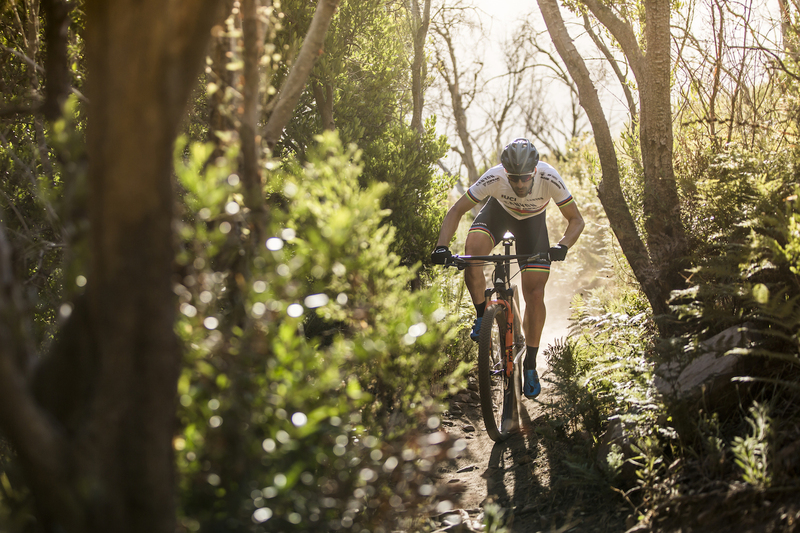 As the leaves start to change colour and the days grow shorter, there are a number of things you can do with your training regime to get ready for cyclocross season. Assuming you’ve just spent the summer training, riding, and racing you’re probably in great shape right now. You’re smashing the weekly group rides, and your favourite Strava segments are rewarding you with new PRs, KOMs, and QOMs. Now it’s just a matter of transferring that road fitness to cope with the sharper demands of a 45-60 minute high-intensity cyclocross race! 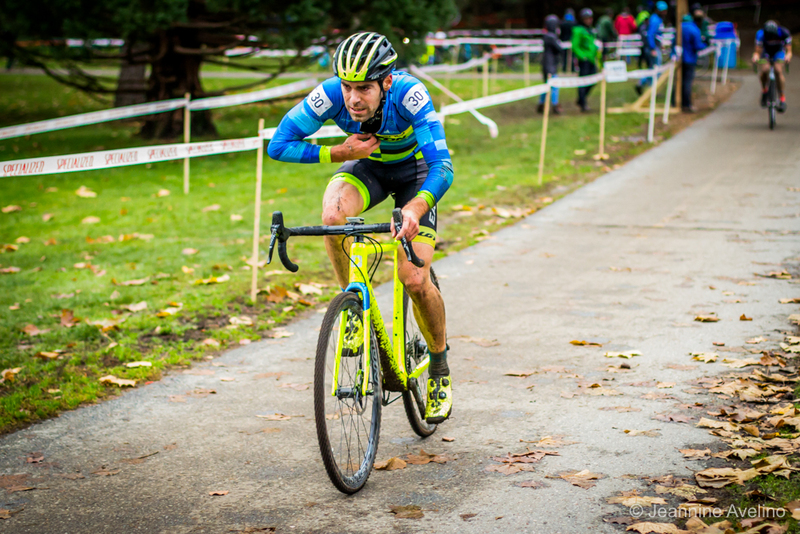 The nature of CX racing is, you spend much of the time at a baseline intensity already very near your threshold, then you have to repeatedly spike your effort to jam up a hill, jump an obstacle, power through a sand pit, or shoulder your bike up a flight of steps. You have to be able to handle those repeated efforts and recover quickly without dropping your power. The type of training to do now should be focused and specific to these kinds of efforts, to sharpen your top-end for when #crossishere. 4iiii-sponsored athlete Mark McConnell of Hot Sauce Cycling takes a few seconds to recover on a downhill. Without a doubt, cyclocross is a lot more technical than road riding. The first thing to do will be to throw your leg over your ‘cross bike and start practicing those tight turns, dismounts and remounts, and bike-handling in technical conditions. These workouts aren’t focused on power, but they might be the most important for a successful CX season. Your power won’t matter if you can’t get around the features on the course and maintain some speed. 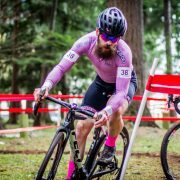 Your local racing scene might have a weekly cyclocross practice session, with friends, rivals, and coaches to help you polish your technique. If you’re on your own, find an open park and start practicing your skills. You can even challenge yourself by laying out a mock ‘cross course and trying some hot laps! 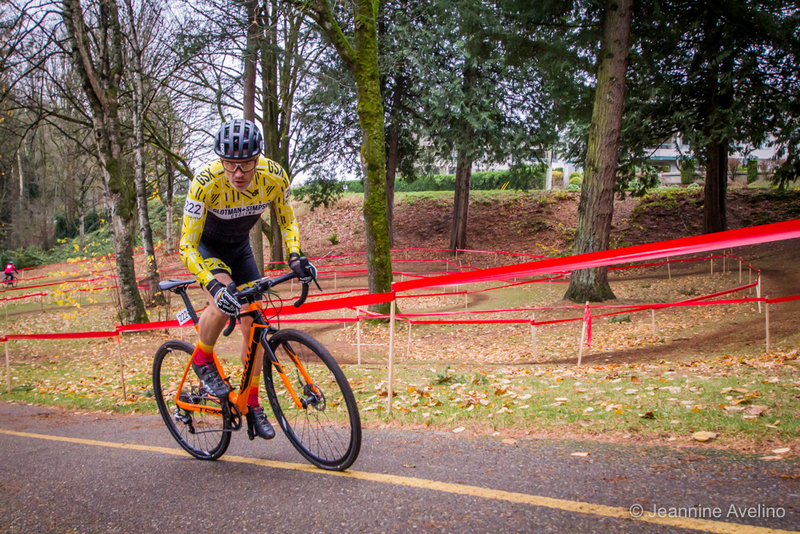 Masters ‘cross racer and 4iiii ambassador Jordan Behan powers up a (paved!) climb. Your key workouts for the week can be short, but need to be very hard to replicate CX efforts. You should focus on repeating short anaerobic efforts of 30s-2min, with reduced recovery time and slightly harder recovery intensity than you’d be used to from road training. 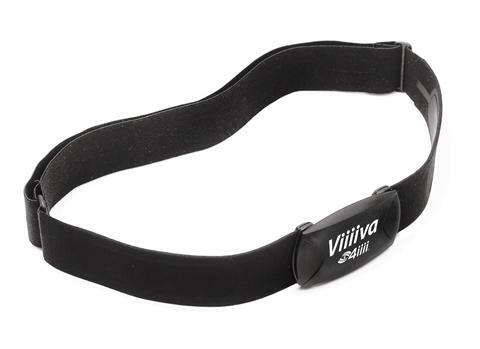 Your heart rate should remain very close to threshold through the entire workout. In general, the best recommendation is to stick with no more than 2x high-intensity workouts per week, with the rest of your riding remaining easy in order to prioritize the effort required in those two key workouts. Your easier rides can be where you practice skills work, but you should aim to keep your heart rate (HR) below 145 bpm and give yourself plenty of recovery opportunities. 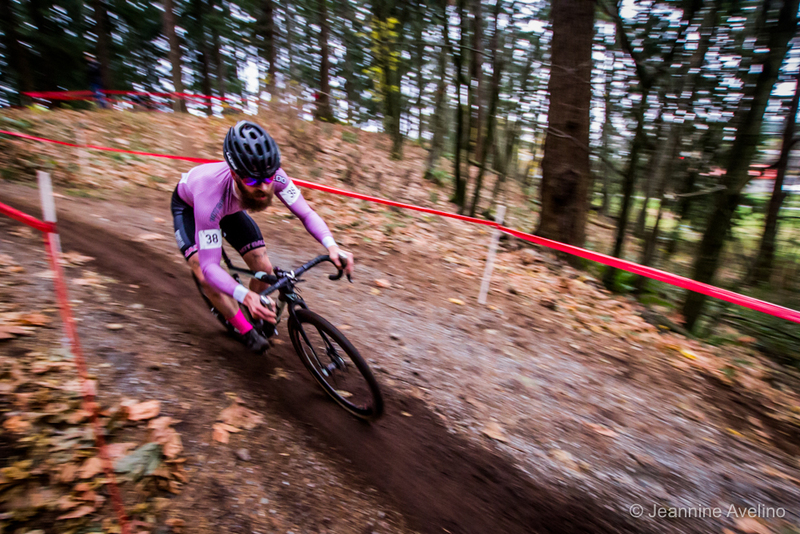 Elite cyclocross racer Craig Richey zips up while powering through a speedy section of the course. Try to have one or two easy/rest days between high-intensity workouts to make sure you’re fresh, and don’t worry too much about training load (TSS, CTL, etc.) since those numbers might appear ‘inflated’ from the summer road season. Just focus on hitting your workout targets and polishing your skills, and you will naturally be at the level you need to be for racing ‘cross. One of the most underrated benefits to having a 4iiii left-side or dual-sided power meter is that as long as both your road and cyclocross bikes use the same drivetrain and bottom bracket, you can easily switch your left-side crank arm between bikes, meaning you’ll have consistent power numbers to train with across disciplines. Masters racer Gail Harrison takes a fast line through a twisty corner. A good place to start is with microbursts, which will help kick-start your high-intensity energy systems for the on-off nature of CX racing. This workout is based on some of the research presented here. Power targets are very approximate for this kind of workout, but aim to begin your sets at least at 130% FTP (read more about how to determine FTP here). HR should rapidly reach threshold and remain there through the entire set. These 1min efforts won’t be hitting any new power PRs, but the focus should be on repeating the high-level efforts and maintaining tempo during your 2min ‘recovery’ intervals. 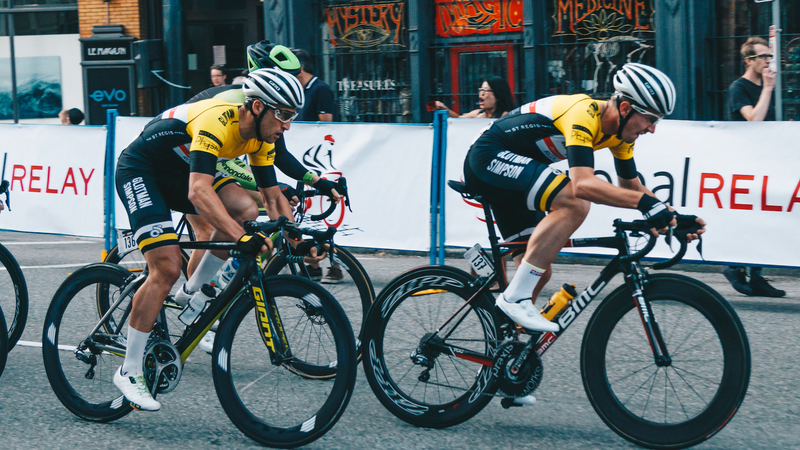 Finish the workout with some ‘positioning sprints’, where each sprint effort should be a near-maximum effort, with the final sprint at full gas, like you’re sprinting around the final few corners of the race. This workout maintains the hard ‘baseline’ effort of a CX race for a full 40 minutes at 90% of threshold. Every 5-8 minutes on an unpredictable schedule, add a big gear acceleration where you shift up two or three cogs (or find a hill) and wind up the gear for 15sec. These can be seated or standing. Then settle back into that “sweet spot” effort. Get 4x accelerations during each 20-minute set. 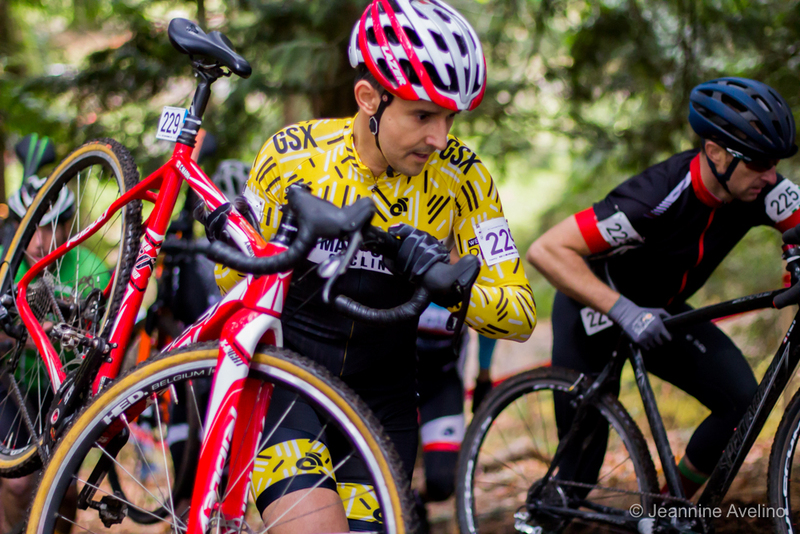 Masters cyclocrosser Carmen Marin shoulders his bike on a run-up. So get out on those knobby tires, find some mud, grass, and hills, and start sharpening that summer road fitness into cyclocross power! 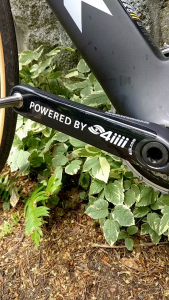 And don’t be afraid to get your 4iiii Powermeter wet or dirty. 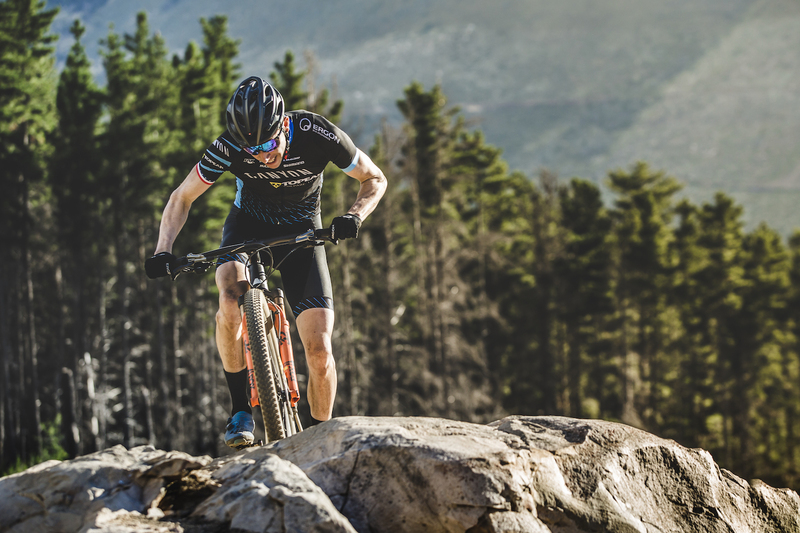 With its small form factor and protected location inside your crank arms, and its waterproof, mud-proof and sand-proof seal, you’ll be ready to push your limits this ‘cross season! On September 19 of 2017 in Bergen, Norway, Annemiek won the women’s time trial World Championship. 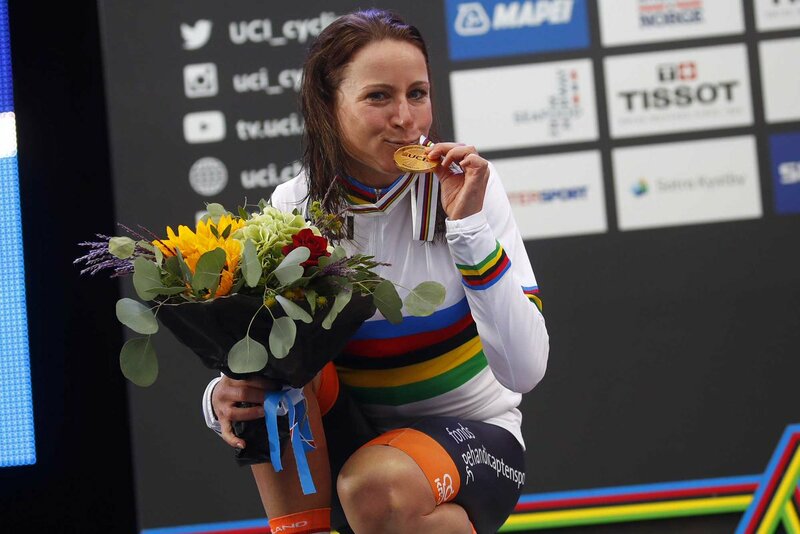 She has worn the rainbow stripes all year in time trial competitions and will continue to wear it until she defends her title next month in Innsbruck. Her abilities in the time trial would serve her well all year, but it wasn’t only in the race of truth that she was dominant in 2018. 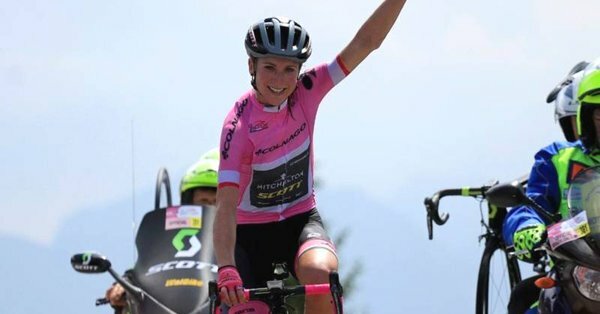 In July, Annemiek and her Mitchelton Scott squad competed in the Giro Rosa. As a 10-day stage race, it is considered the most prestigious tour in women’s cycling. Proving her abilities as an all-arounder, Annemiek was first in the points classification and won three stages, including the individual time trial on stage 7. 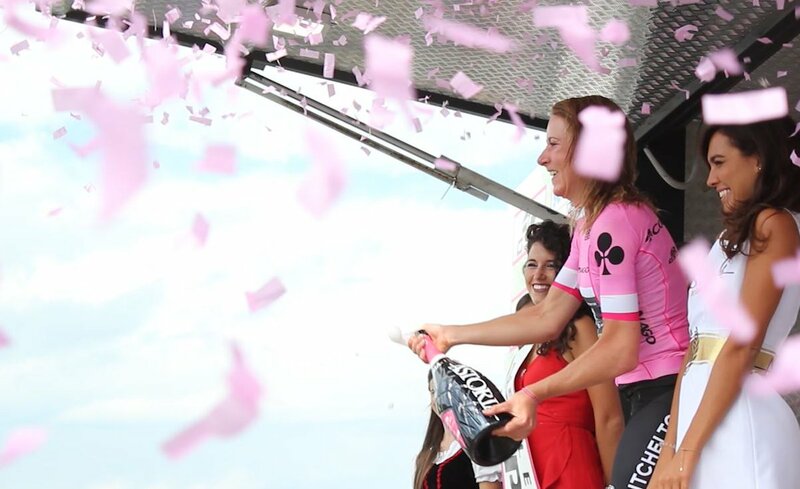 Two days after being crowned the Giro Rosa champion, the women toed the line for La Course by Le Tour. While fans of cycling beg and plead for the women to be granted a proper stage race, La Course remains a single day affair. With all of the contenders on tired legs, including Annemiek herself, the final kilometers of La Course did not disappoint and even played host to one of the most thrilling finishes in all of bike racing for 2018. 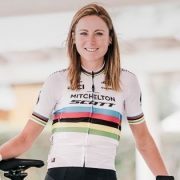 With her dedication to the sport and her ability to pull out victories in the most challenging circumstances, Annemiek van Vleuten is an inspiration to young cyclists the world over. We are proud to play a small part in her success as the provider of power meter technology to the Mitchelton Scott team. 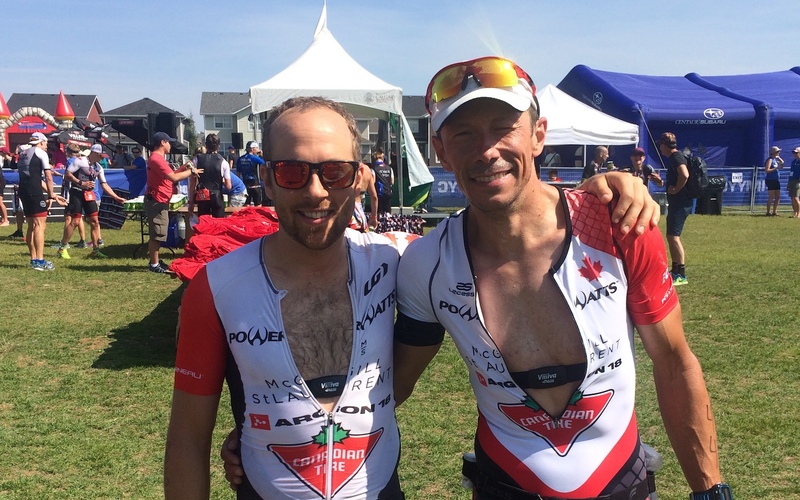 Last weekend saw my return to competitive triathlon at the annual IRONMAN 70.3 Calgary—the first time I’ve competed since joining the 4iiii team. Could I make the podium in what has become my home race? Ironman 70.3 Calgary is held in Auburn Bay and is a relatively smaller race with about 900 competitors starting in a little community south of Calgary. Race morning started like every other, waking up bright and early and getting down to set up gear in the transition area and get ready for some racing. It was a perfect morning, not too hot or cool with little wind. The race was broken into several groups of starters (4 groups, 2min apart of about 200-300 athletes) and I started in the first one at 6:50 am. We swam in a small lake called Auburn Bay and had two laps of an approximately 1km loop (just under 2km total swim distance). The water was calm and not too cold so perfect racing conditions. 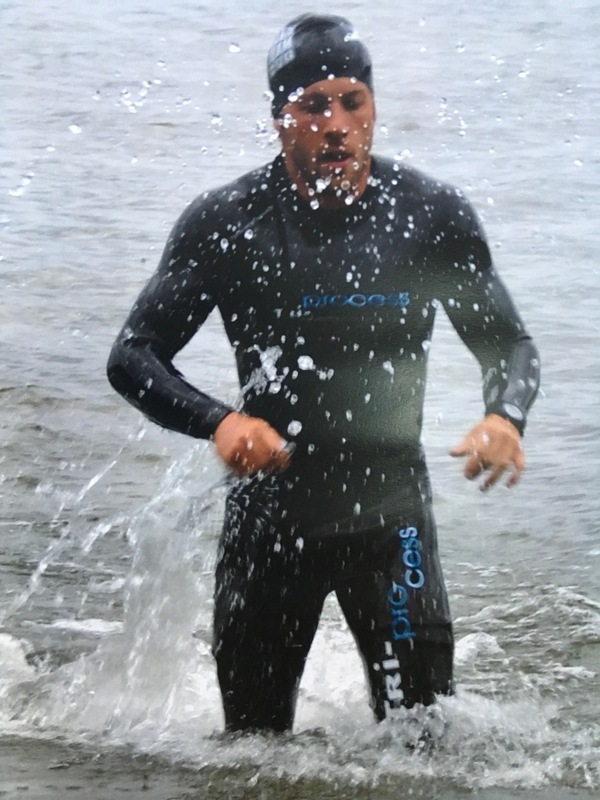 I managed to slot in with a few other guys and held a good pace coming out of the water towards the front of the race after just over half an hour of swimming. 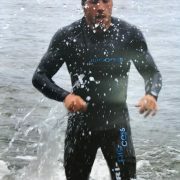 Out of the water, there was a quick transition, removing the wetsuit and hopping onto the bike. The first segment of the bike was wildly fast. 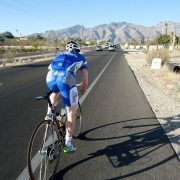 It was slightly downhill on open, exposed roads with a tailwind so the perfect conditions for a speedy ride. I was pushing a bit harder than I thought I would be able to hold but decided to go for it and see how it panned out. After the first 40km averaging about 50kph, we headed back to town and I was sitting in 3rd place overall. By about 70km into the ride, I started running out of steam and the last 20km was a struggle. Despite that, the three leaders stuck in these placings until we finished the 90km bike ride and got ready to start a half-marathon (21.1km) run. On the run, the day started heating up but it was a great out-and-back run along the Bow River. I pushed a bit harder than I should’ve on the bike so didn’t have the legs for a fast run but managed to hold a steady pace throughout, and survive a brutal hill out of the river valley about 18km into the run. At the end of the day, I finished in 4hr 8min which was good enough for 3rd overall and 1st in the 30-34 age category. All-in-all, it was a beautiful day and a really fun race. 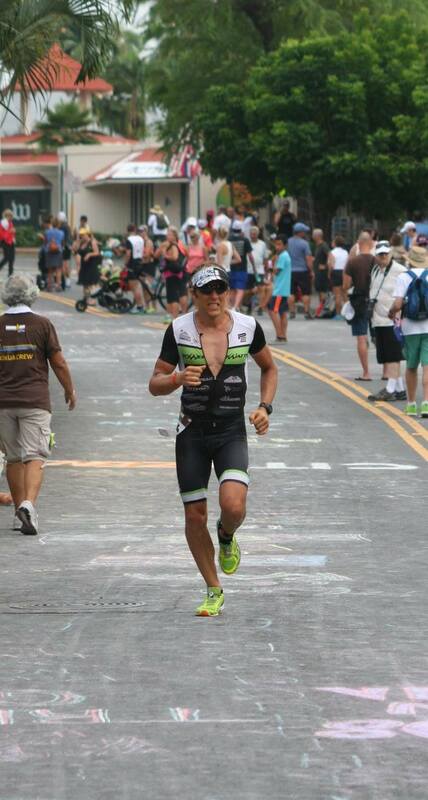 It’s always great to toe the start line and push the body to see what you have on the day. That was my only triathlon for the season but will be excited to try and get in a few more in 2019! 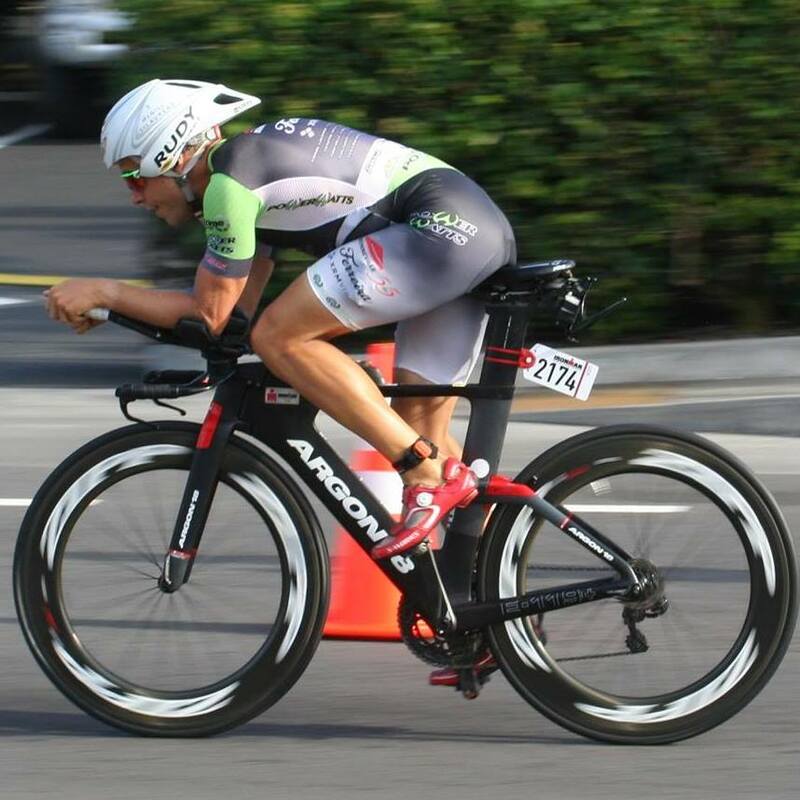 On the bike, I used my PRECISION PRO powermeter to monitor my bike output. I went in with a goal wattage and was able to track this throughout the race. Especially in the later stages of the bike leg when I was really struggling, seeing my power numbers kept me motivated to keep the effort up and continue to push the pace right to the finish. 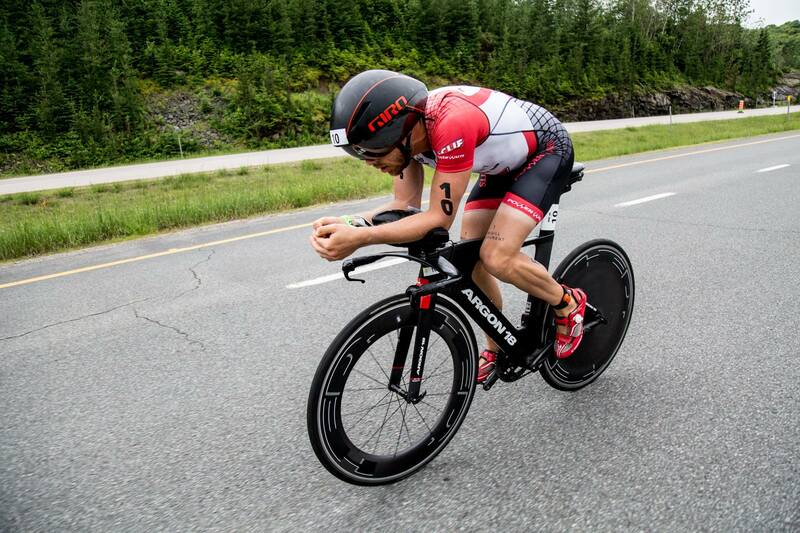 Note: this weekend, Scott Cooper, the author of this series and our Product Manager here at 4iiii, finished 3rd overall at Ironman 70.3 Calgary. Friend: So do you get paid to do triathlon? Friend: I still have trouble understanding why you do this… So what else do you do? Me: I’m working on my Ph.D. in Engineering. When I was a kid, I was always fascinated by science and biology and had an aptitude for mathematics. My favourite days would be when we had a supply teacher in elementary school as that usually meant the TV and VCR were rolled out and we binge watched Bill Nye the Science Guy. Although the show was quirky, it was a great introduction to the fascinating fields of science and engineering. As I advanced into high school, I had a biology and a physics teacher who both cultivated my love of science and pushed me to explore new areas and tackle more difficult problems. This lead to an interest in human physiology which was also supported by my love of sport. stage to become a jack-of-all-trades, focusing on problem-solving in various fields while still allowing me to continue touching on topics related to physiology. By the time I was in my second last year of my bachelors, I was getting more engaged in triathlon and endurance sports which piqued my interest in cardiovascular health. I had the opportunity to work as a summer student in one of my professors’ lab’s for the summer before my final year and jumped on it right away. His lab looked at the biomechanics of the heart and other aspects of cardiovascular disease. This lead me down a path of research and before I knew it, I was signed up for grad school getting a Masters in Engineering. My research focused on how plaques form in arteries due to the fluid dynamics of blood and the related stresses this imparts on blood vessel walls. I became a perpetual student and continued this research in a Ph.D. in Engineering. workouts and how they could improve their performance. 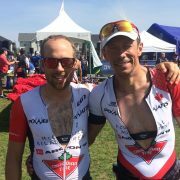 I started with coaching at the McGill Triathlon Club (where I began my training a couple years before) and progressed to becoming a cycling coach and also privately coaching triathletes. In my next post, I’ll talk about how I managed to get all of this done with only 24 hours in a day. 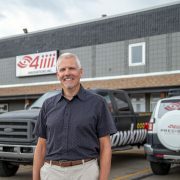 4iiii Innovations Inc. a global leader in Sports Electronics is pleased to announce the appointment of Jim Glasspoole CPA.CA as its Chief Financial Officer (“CFO”). Mr. Glasspoole brings strong leadership and expertise to the company as it diversifies its strong Sports Sensor portfolio to the Energy Sector and scales to volume production in both sectors. He previously held key positions with Pratt & Whitney Canada, KPMG, and Pason Systems, the industry’s only oilfield specialist offering a fully integrated drilling data solution. He brings 10 years of CFO experience in Calgary’s Oil and Gas sector, 10 years in high tech manufacturing at Pratt & Whitney, and 12 years of senior finance and capital market experience working in both private and public markets. “I would like to extend a hearty welcome to Jim on behalf of the Board and the rest of the 4iiii team.” says Kip Fyfe, 4iiii President. “We are taking our revolutionary torque sensing technology and manufacturing innovation that is disrupting the cycling space and applying it to the Energy sector. Jim’s experience in high tech manufacturing, operations and finance will be key to transforming and growing our markets and ensuring that our strength as nimble innovators and manufacturers is fueled to continue to flourish. Visit 4iiii.com for the latest in sports performance data products, and Hawkiiii.com for Industrial Internet of Things (“IIoT”)sensor tech first being introduced to the energy sector. please contact our PR manager, Kim Schribar. 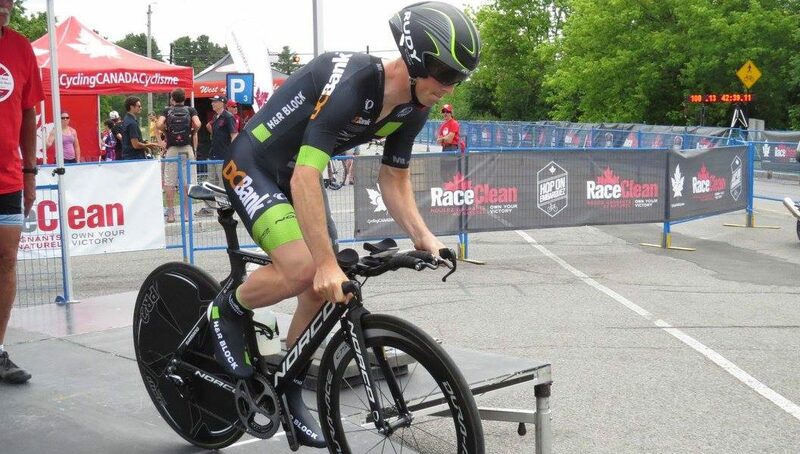 This article about analyzing asymmetry between left and right legs with a dual-sided power meter is written by registered Physiotherapist, cycling coach and Cat 2 bike racer Jem Arnold. The author, on the right, chasing. Photo by Tammy Brimner. I’ve been using a 4iiii Precision Pro dual-sided power meter for the past two seasons. Having a dual-sided power meter has been critical for me, as I have a chronic injury which produces a significant Left/Right power asymmetry. A single-sided power meter that just doubles left leg power (my weak side) would give me unreliable data, not to mention I might never have realized I had such a severe imbalance at all. Having a true dual-sided power meter like the 4iiii Precision Pro has allowed me to investigate the asymmetry and take steps to correct the issue through treatment and rehabilitation exercises off the bike. This article is a summary of a more detailed investigation I published on SpareCycles.blog. The original article was not sponsored or influenced in any way by 4iiii, but I thank them for allowing me to publish this summary for their site. L/R balance should be 50/50 on average, but a mild asymmetry of +/- 2% either direction is nothing to worry about. If you observe a consistent imbalance greater than 2% that might warrant further investigation. For me, my left leg begins to drop power as intensity increases past threshold, leaving my right leg to cover the difference. Let’s take a look at a stress test I did the other day that was designed to demonstrate this power imbalance at its worst. Note, the charts below come from WKO4 Training and Analysis Software, produced by TrainingPeaks. The first chart is a simple display of power, heart rate, and cadence for the workout. Power is shown in yellow. The dashed yellow line is my Functional Threshold Power (FTP) which gives context for medium vs high-intensity effort. Heart Rate is shown in red. HR rises toward the dashed red line, which is my Lactate Threshold HR (LTHR). Cadence is given in green. The legend along the top shows power, HR, & cadence over the cursor at time 23:42. This stress test included a ramped warm-up, some work at threshold with various cadences, and some high-intensity intervals. It appears that I hit my power targets and my HR reached threshold. All seems normal so far. However I could feel my left leg begin to fatigue at some point during the stress test, so I know there must be something going on under the surface. Let’s look closer. By using the L/R balance reported by 4iiii Precision Pro power meter, we can split power into left and right legs independently. Total power for the same point (23:42) is shown in the legend for reference. Single-leg FTP (FTP / 2) is the yellow dashed line on the chart. Left leg power is the red line. L/R Balance is shown in white, smoothed to easily visualize and compared to 50/50. Average, min, and max L/R Balance for the workout are also given. It’s very easy to see where my L/R power balance begins to drift away from 50/50 as the intensity rises. This corresponds very closely to the increased left leg fatigue I felt during the workout. For example, at the cursor (23:42) my power is 449 W. This is what I would see on my power meter at this moment. However my left leg was contributing only 207 W, while my right leg was overcompensating at 242 W. By the end of the stress test, my left leg power (red line) and right leg power (blue line) were mismatched by as much as 50 W! So my right leg had to drag along my left leg as I worked above threshold. The author, on the left. Photo by David Gillam. 4iiii Precision Pro collects even more advanced pedaling metrics, allowing even greater insight into pedaling technique and L/R symmetry. Next time I’ll discuss how Torque Effectiveness and Pedal Smoothness can be used to investigate how each leg generates power through the pedal stroke. For a more in-depth version of the analysis in this article, head over to SpareCycles.blog. As engineer/athletes, we like to get out and test our products almost as much as we like creating them. This weekend, we had a chance to do some real-world product testing at the TransRockies Golden 24 race. Not only did we compete in the 24-hour competition, but we won the corporate division. Earlier this Spring, we announced that we had “solved the carbon challenge” of making our power meters compatible with the industry-leading carbon cranks. 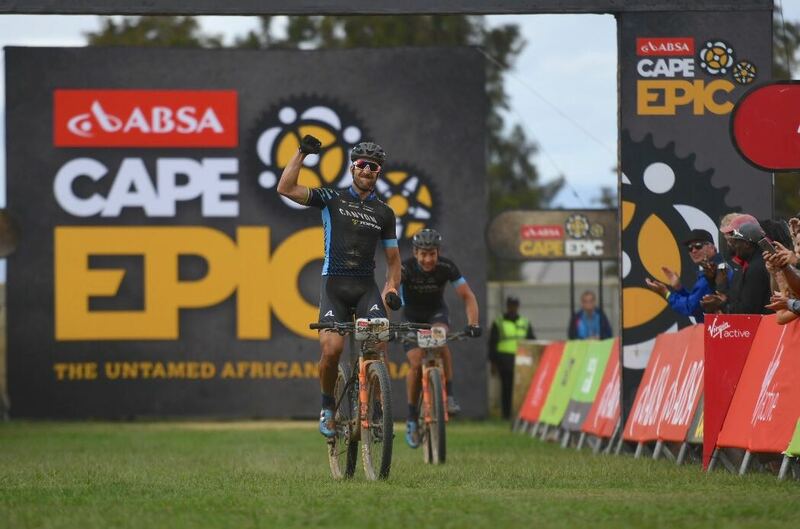 Over the weekend, some of our best athletes put them to the test on the 14km Golden 24 course. 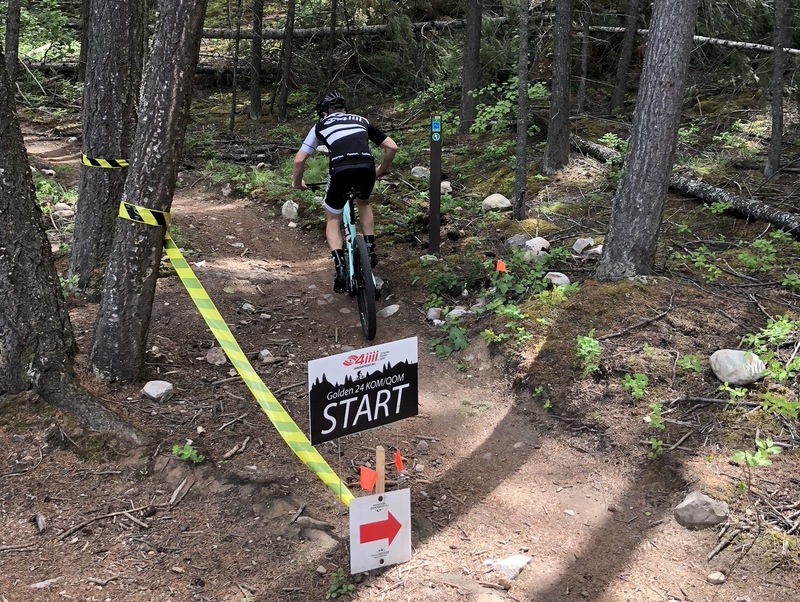 Before the race began, former pro roadie Bailey McKnight pre-rode the course with a camera on board, to give you an idea of the terrain. 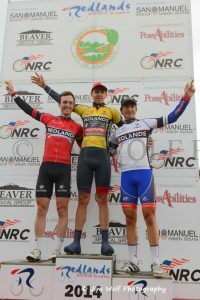 The course included a QOM/KOM segment that we sponsored for a power challenge. 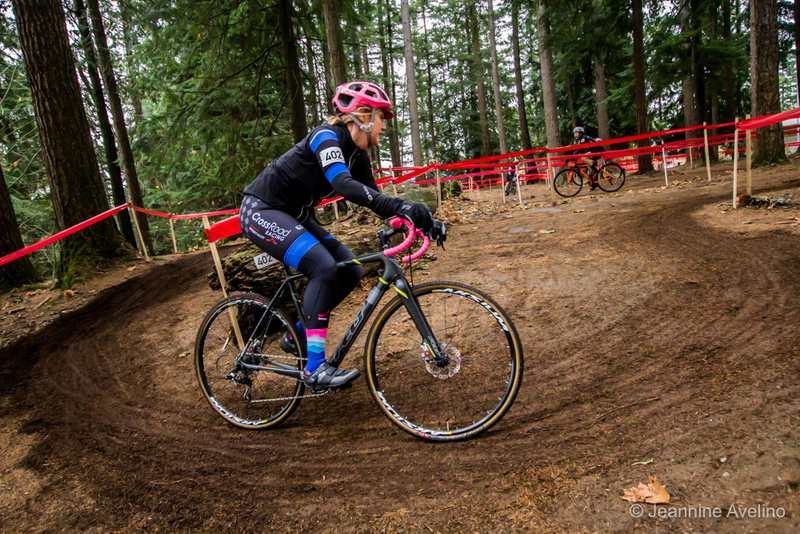 As of this writing, you still have almost two weeks to attempt the segment yourself—the top times for women and men will be awarded a non-drive side factory install power meter for your compatible cranks. Check out the segment on Strava, and give it your best shot. 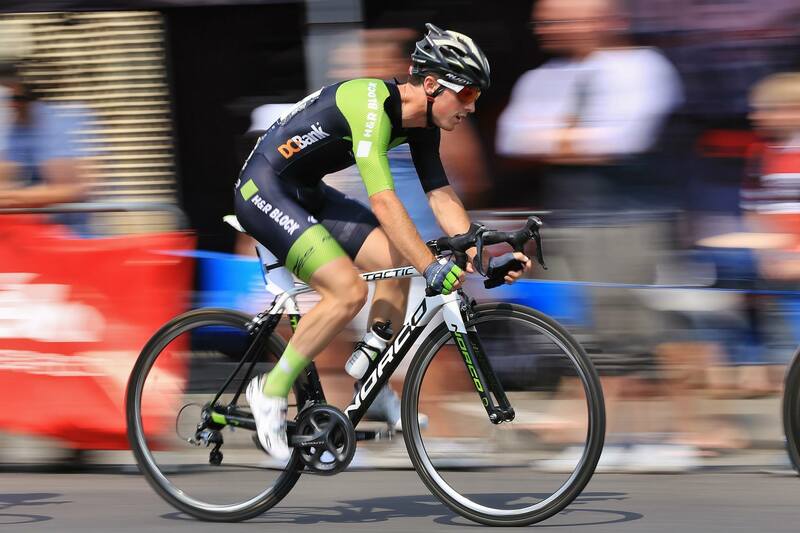 The corporate team division of Golden 24 allows for a team of between six and ten riders. We had six, each of whom would do a lap of the 14km course before handing off and settling for a break, a meal or even a nap. That meant that each rider had to do four laps over the 24 hour period. It also meant that there was plenty of time to socialize and spend time with family, friends, other teams, and peers from the bike industry. 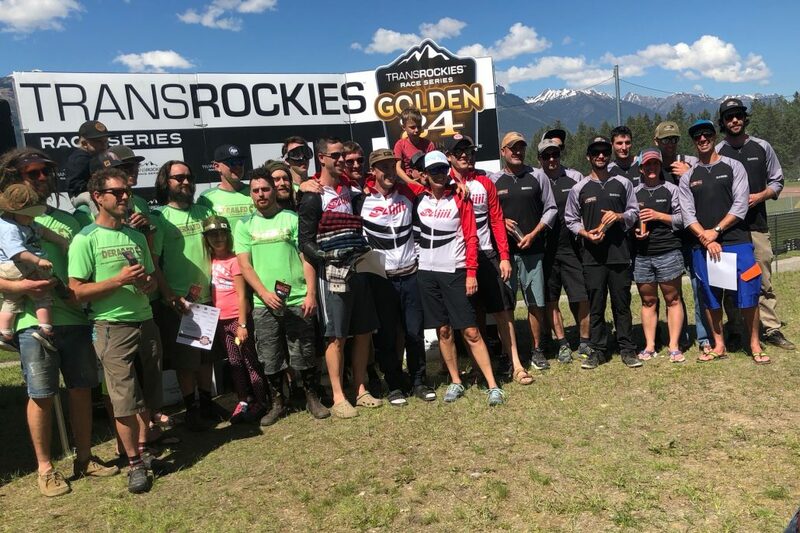 We want to thank TransRockies for organizing such a fun event. Maybe you’ll see us again next year to defend our title! Interested in carbon cranks for your bike? Visit our web store and check out the list of compatible carbon cranks. People often ask me what drew me into cycling. I have a fond memory of watching Philippe Gilbert at the 2011 Liege-Bastogne Liege, watching him distance himself from the Schleck brothers in the closing kilometers on the steepest section of the course. I remember seeing the crowd erupt as Philippe tossed his hands in the air on his home turf. He raised his bike above his head after the finish line, to the delight of his adoring fans. He had made an inhuman effort look effortless as he danced on the pedals and rocketed passed the two brothers. I remember being mesmerized by the whole spectacle. The sheer volume of spectators lining the course over the last three kilometers. The commentators yelling at the top of their lungs in Flemish. The podium celebration with comically large hats and bottles of champagne. I turned off the TV with my mind made up; I wanted to become a cyclist. I wanted to take part in the incredible event I had just witnessed. My background in sports was vast. I never really excelled at one specific sport but loved doing them all. I was too small for hockey, not quick enough to land a running scholarship and lacked the coordination to excel in swimming. I started riding a bike purely as a mode of transportation, but I started catching myself taking the long way home in order to get more time on the bike. I was introduced to the local racing scene and upgraded from Cat 5 to Cat 2 in a single season. The hunger to find bigger an better races drew me outside of the province. 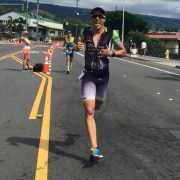 My first “real” race experience left me in tears. I remember calling my parents after my first BC Superweek, sobbing. I had been dropped by the field for the fifth consecutive night. 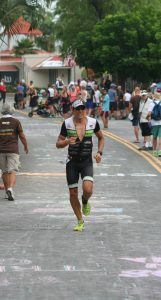 I hung in there and kept chipping away, splitting my time between my studies and training. I turned 22 and realized that everyone racing at a higher level than me was committing 100% of their time to the sport. 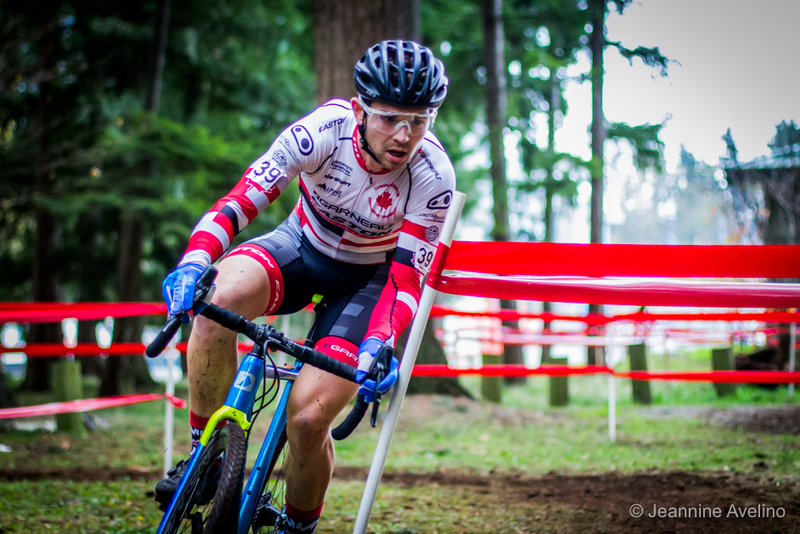 In the same month that I decided I would take a semester off to focus on training, I was invited by Cycling Canada to go to Belgium and experience European racing. It’s hard to explain European racing culture to someone that hasn’t experienced it first hand. We would show up to a Tuesday night Kermesse and there would be 220 people on the start line. The field would be a mix of ex-pros, promising young amateurs and middle-aged men that I am convinced had ingested every illegal stimulant on the banned substance list. The gun would go off and it would be an all-out war for 2 hours. It was the equivalent of learning how to swim by being thrown into the deep end. 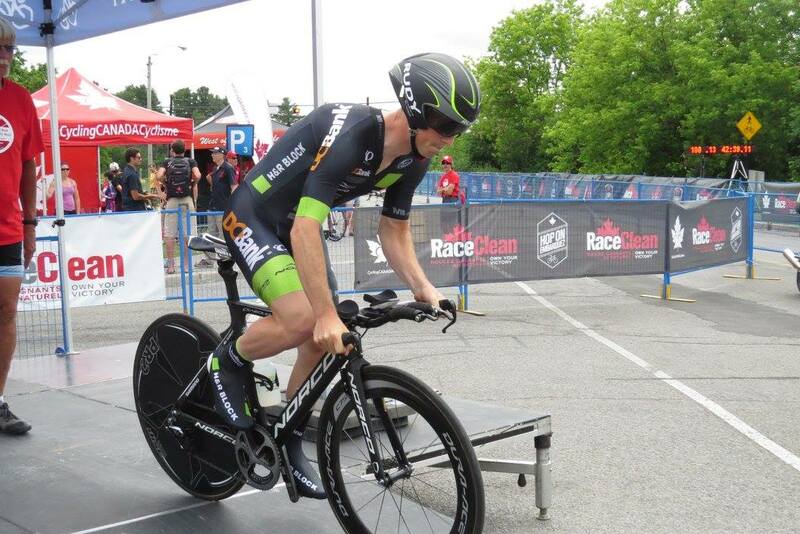 I came back to Canada with a fresh perspective on racing. I learned how to move up efficiently in large pelotons, how to fuel during a 180 km cobbled race, how to layer up to stay dry when it was pouring rain and three degrees. 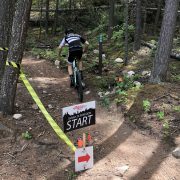 I raced for an amazing amateur program based in Vancouver called Trek Red Truck Racing. The program allowed young racers to attend some of the best races in North America to demonstrate we were worthy of a pro contract. We would spend six months of the year on the road, battling it out against guys with way more experience and support. I kept my head down for three seasons and worked day-in and day-out to try to turn the heads of team directors at the Continental level. As I mentioned, I had just turned 25 and was contemplating giving up on pursuing a career in cycling. As I was pondering my next steps, I received a call from Mark Ernsting, the director of H&R Block Pro Cycling. He explained that he was putting together a Canadian team that would compete in some of North America’s biggest stage races. It didn’t take me long to sign the contract and pack my bags. For the next two years, I would get to experience some of the coolest races you can do in North America. We would travel from Vancouver to Philly to New York and Quebec. My “pinch me” moment came at the 2015 Tour of Alberta where I slotted in beside Frank Schleck. All I could think about was the 2011 Liege-Bastogne-Liege. The TV helicopter hovered above and I felt as though I had finally made it to a level I could be proud of. My eyes were always set on making it to the World Tour but I soon realized that it took a very special type of athlete to make it to the top. The thing they don’t tell you about professional sport is that in order to be successful, you have to live a very self-absorbed lifestyle. Each decision you make in a day revolves around success on the bike. Every meal, workout and recovery session centers around your needs and training schedule. For the first time in my life, I wasn’t sure I was ready to go down a road that required me to be so self-absorbed to do my job well. In my next article, I’ll tell the story of the later parts of my pro cycling career how I transitioned away from the pro ranks. Then I’ll follow that up with more detail as to how I came to work in the industry that I love, here at 4iiii.